Size • 39,000 sq. 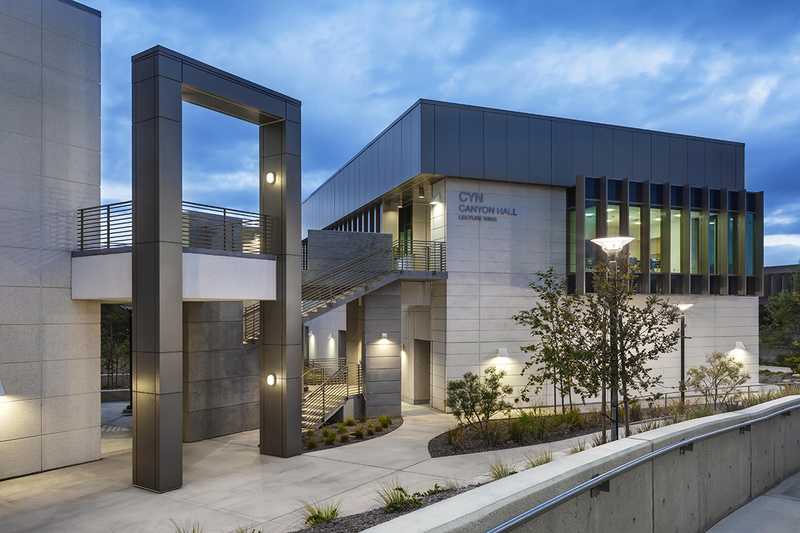 ft.
Canyon Hall at Crafton Hills College was constructed on a challenging site overlooking a steep valley. The building features a steel and glass window wall that offers breathtaking views. The window admits daylight into the interior spaces and serves as a bridge between the existing campus and newer campus development. Canyon Hall has two wings—one for laboratories and classrooms and one for faculty offices and conference rooms. The new facility focuses on STEM education by accommodating teaching laboratories and support spaces for the college’s health science program, including courses in anatomy and physiology, chemistry, biology and microbiology.